Women’s softball finished fourth in their tournament, earning Ithaca’s seventh top-five national finish since 1999. The baseball team made its 32nd NCAA playoff appearance, and men’s lacrosse reached the NCAA semifinals, making their fourth trip to that round of the NCAA playoffs. 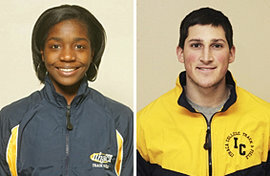 Cory Petermann ’09 and Marcia McCord ’11 also advanced to the NCAA Division III Track and Field Championships. Petermann finished 16th in the javelin throw, while McCord finished fifth in the finals of the 400-meter dash and earned all-America honors.